800 years old and stlll lookin’ good! 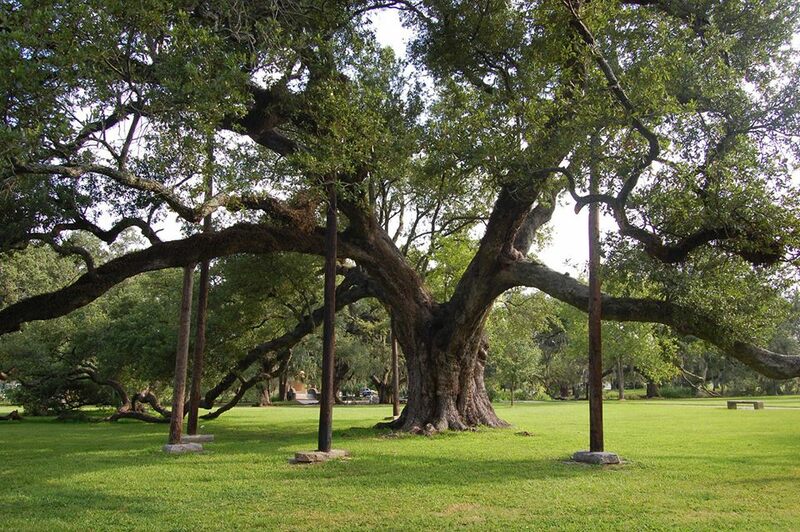 At approximately 800 years old the oldest tree in New Orleans City Park is the McDonogh Oak. Just think of all this tree has seen over time! You can find the McDonogh Oak in the Park’s Old Grove. The Old Grove is home to many of the Park’s oldest trees. The tree has wooden ‘crutches’ holding up the long old branches. There is also a plaque near the bottom of the tree trunk. 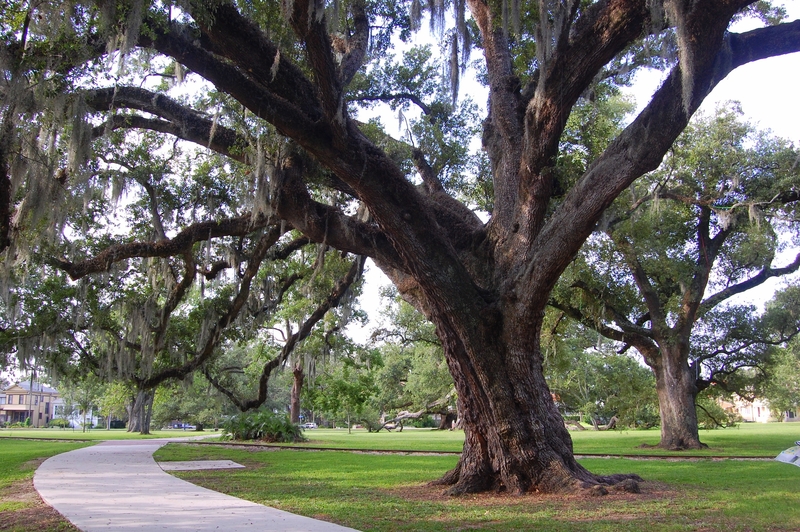 The Park’s Old Grove is the strip of land between City Park Avenue and Bayou Metairie. The Old Grove is higher-ground than much of the Park and surrounding neighborhood due to Bayou Metairie overflowing and receding so often over time (leaving behind sediment that has accumulated). The Old Grove did not sit in water during Hurricane Katrina. This is why so many of these particular trees survived the flooding from hurricane Katrina. 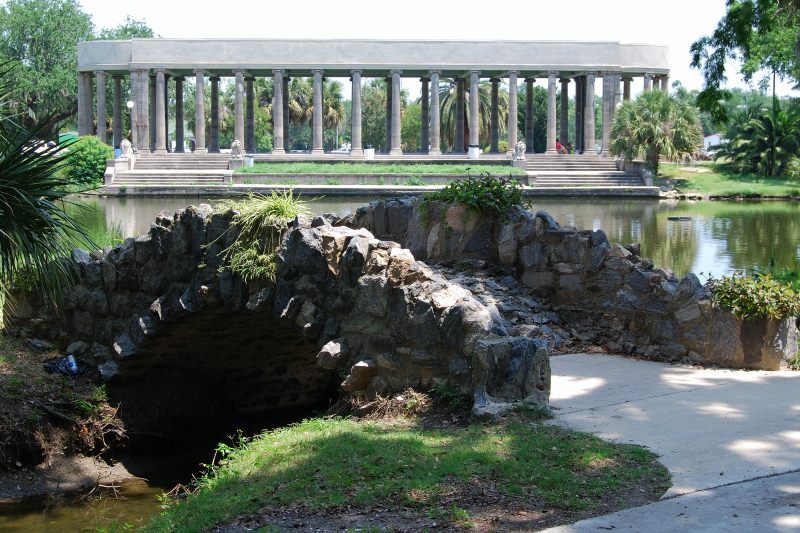 In 2005’s Hurricane Katrina, the Park lost more than 2,000 trees on its 1300 acres. The 5,000th tree since Hurricane Katrina was planted in New Orleans City Park on December 5, 2012. This is the Allard Oak. Hello Allard Oak.